Multi-use formula for sore muscles and more. 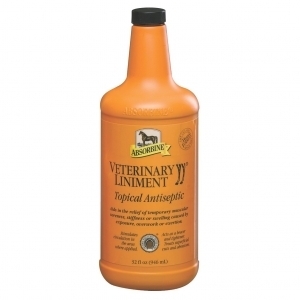 Antiseptic for minor cuts. Refreshing antifungal body wash. 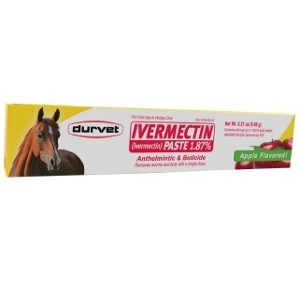 Helps prevent hoof and sole infections. Made with proprietary blend of herbal extracts: calendula, echinacea and wormwood. Multi-use formula for sore muscles and more. 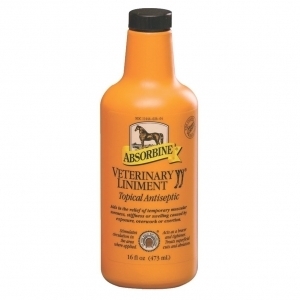 Antiseptic for minor cuts. Refreshing antifungal body wash. 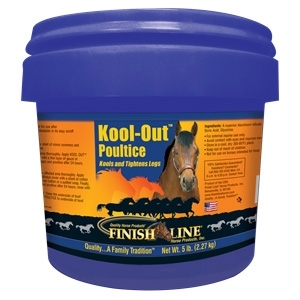 Helps prevent hoof and sole infections. Made with proprietary blend of herbal extracts: calendula, echinacea, and wormwood. 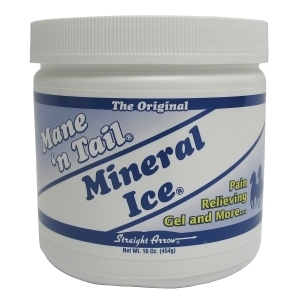 Cool, fast, temporary relief of minor aches and pains. Reduces muscle and joint pain associated with arthritis, injuries, sprains, strains and bruises. 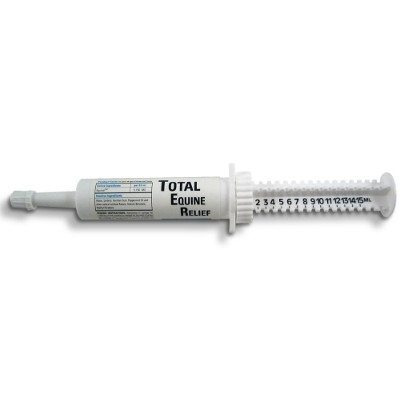 Relieves minor soreness and stiffness from exercise and performing activates. 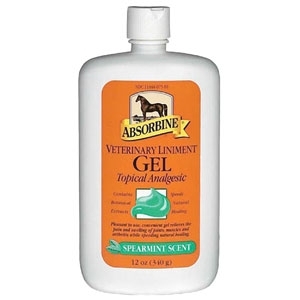 Absorbine® Veterinary Liniment Gel is a warm soothing treatment for temporary muscular soreness caused by overexertion, minor injuries, or arthritis pain. 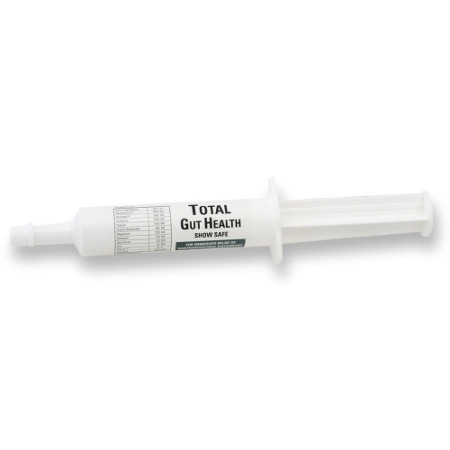 This spearmint-scented gel contains natural botanical extracts that help reduce swelling and speed natural recovery.